A power meeting in West Central Jackson means elected officials, multiple topics for discussion, and dozens of concerned residents. 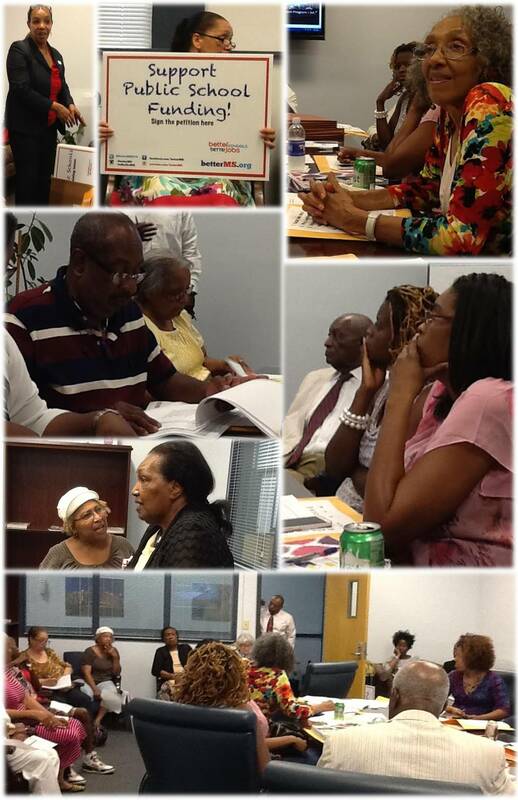 This meeting took place on Thursday, July 17th and lasted for 3 hours. West Central Jackson Neighborhood Association is the governing body over all the Neighborhood Associations in West Jackson. There are 12 active neighborhood associations in the area and every month, the presidents from each Neighborhood Association attends the West Central Jackson Neighborhood Association meeting to discuss community plans. This meeting began with the “Heritage Awards” planning meeting in which the Center for University-Based Development will host a ceremony honoring those people who are making meaningful contributions to West Jackson. The “Heritage Awards” is set for November 23rd at 6:00 pm. The second informational meeting presented information on the ballet initiative, “Better Schools, Better Jobs.” The Better Schools, Better Jobs initiative will require the Legislature to fully fund the state’s commitment to K-12 education, as it promised in 1997 with the Mississippi Adequate Education Program. MAEP aims to ensure that every public school district has enough state support to provide the basics for a good education. Residents were given packets of ballots to collect signatures. They are trying to collect 200,000 signatures by the end of August. Go to http://www.betterms.org/ to sign the initiative. The final meeting was the West Central Jackson Community Improvement Association Executive Meeting and they discussed their accomplishments, infrastructure, and community improvement needs. Residents were able to ask Ward 5 Council Representative, Mr. Charles Tillman, about specific issues, including the re-pavement of J. R. Lynch Street. According to Mr. Tillman, this project has been approved by the city and construction should begin very soon. Below are a list of our vibrate Neighborhood Associations and their presidents.